The ranch fished excellent this week with great reports from all the anglers we were able to talk to. Lots of flies working on the ranch as well with some of them being red san juans, pheasant tails, flashback pheasant tails, poxyback stones, micro stones, rainbow warriors, split cased BWO’s etc. We’re starting to get quite a few bookings from the ranch so if you want to book some time there give us a call! 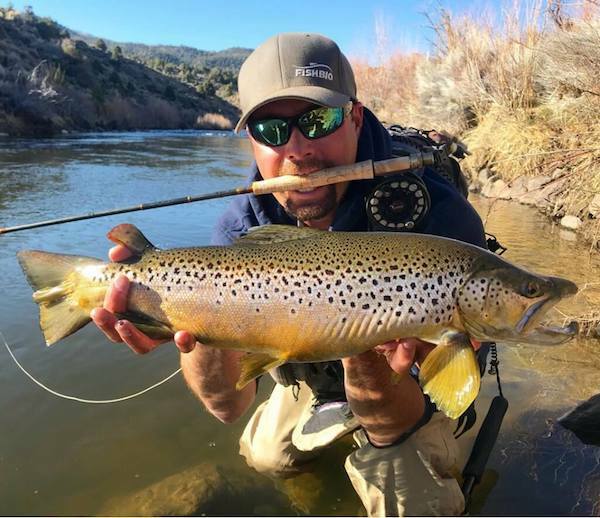 Walker River - East Fork (CA): Miracle Mile Produces A Nice Brown!